(it's free!) 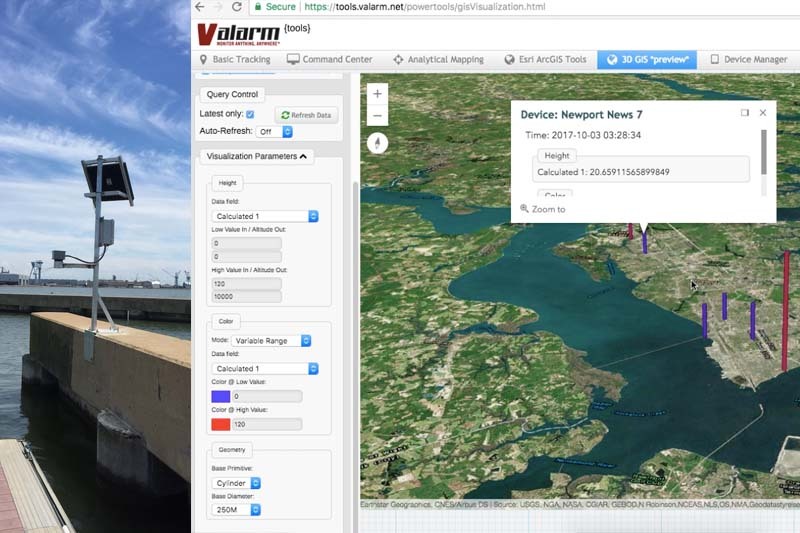 Link your Industrial IoT sensors to Tools.Valarm.net and remotely monitor water, air, assets, equipment, anything, anywhere! Whether your organization needs to monitor water, air, tanks, vehicles, or any other assets, you'll monitor anything, anywhere. Purchase credits ($6/month per device, bulk discounts available) for powerful functionality to remotely monitor your organization's valuable assets. Tools.Valarm.net gives you real-time mapping (2D & 3D), graphing, tracking, historical analysis, alerting and APIs. Tools.Valarm.net is used around the world in industries like water resources management, pollution & air quality monitoring, chemical distribution & tank monitoring, flood & water monitoring systems, bridges & engineering, remote environmental monitoring, smart cities & government agencies, fluids & water usage, fleet vehicles, trucks, & trailers loaded up with industrial equipment & assets. Have a look at www.Valarm.net and our blog for more info. Your Industrial IoT devices, sensor hubs, and sensors are available at Shop.Valarm.net. Questions? Please don't hesitate to get in touch at Info@Valarm.net if you've got any questions. Valarm Tools integrates Esri's 3D Mapping API to provide dramatic and compelling visualization of your real-time sensor information. Visualize your stationary or GPS-tagged in-motion sensor data by color and / or height using continuous-change modeling on data from your Sensor Hubs. You can switch the globe's basemap to a variety of quality basemaps to best highlight the data, from simple gray maps, to detailed satellite imagery. 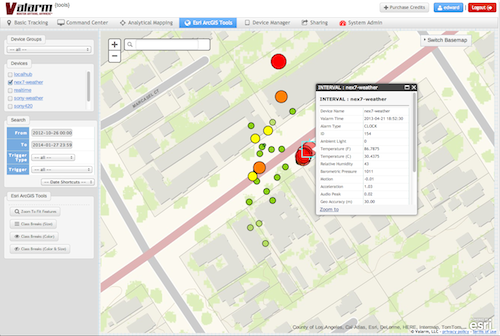 You'll use Tools.Valarm.net with powerful Esri ArcGIS tools to perform mapping, analysis, and visualization on your real-time sensor information. 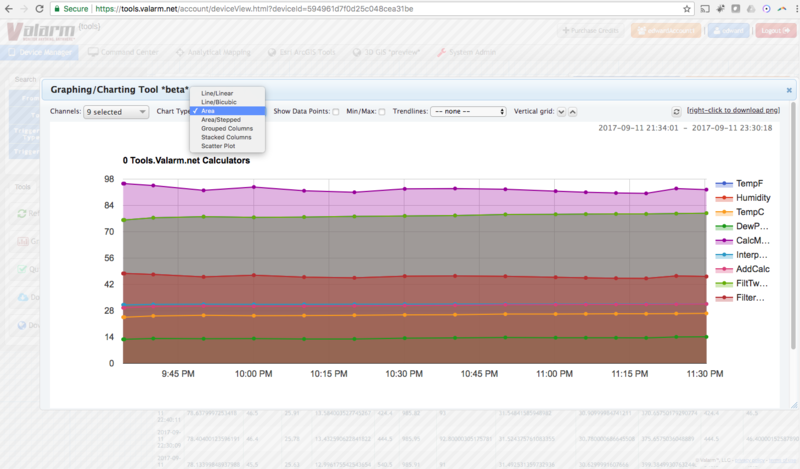 Symbolize your sensor data by color and / or size using the class breaks algorithm on data from your Sensor Hubs. You've also got access to a variety of quality basemaps such as National Geographic and Open Street Map. Sensor Plotting allows a quick view of device sensors. Visualize and compare vehicle speed as measured by GPS, with additional real-time sensor information. Easily customize your search results and instantly get your raw data (via API or download) collected by Valarm. Import this data into the analysis or visualization tool of your choice like Esri ArcGIS or Excel. How does remote monitoring help you, your teams, and your organization to improve business operations and effectiveness? 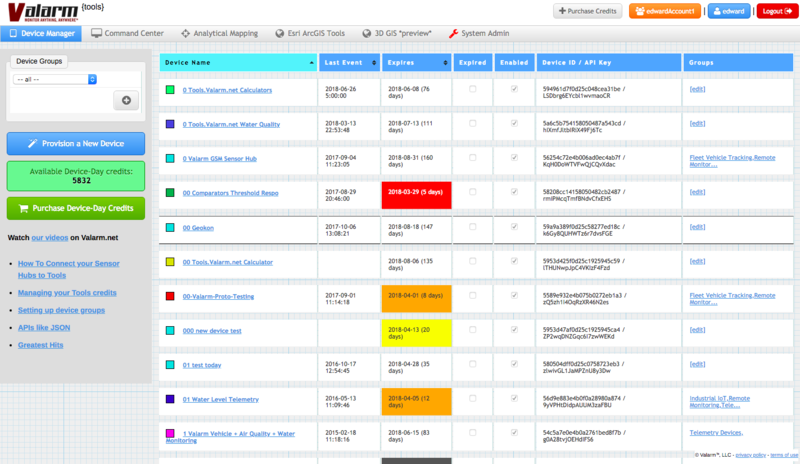 Web dashboards let you remotely monitor sensors made by any hardware manufacturer. Our customers have favorite sensor brands like Flowline, Alphasense, In-Situ, McCrometer, and Senix. Your Device Manager lets you set custom colors for your IoT devices. Configure your APIS, enable/disable your devices, create/edit device groups, set descriptions, and manage expiration dates and your account credit. 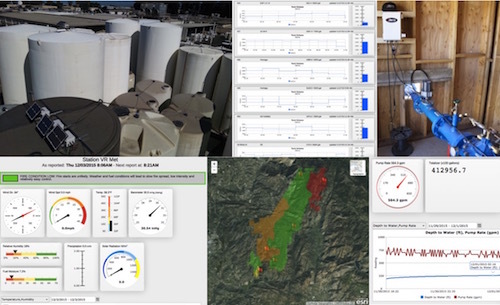 Make calculators and totalizers for water monitoring systems to manage water wells and know total water usage and groundwater aquifer health with pressure transducers, level sensors, and flow meters. Internet Explorer (any version) probably won't work at all. Why not? To keep our costs down and help enable our ridiculously low prices. You can read more from Wired. Note: If your credit card does not work or you would like to set up an account with many devices, contact us at info@valarm.net for other payment options.